Anti-racist campaigners are celebrating a decision by Fuji TV to remove from a weekly music show a segment that purportedly showed performers sporting blackface makeup. The broadcaster’s decision represents a “victory” for people who had petitioned for a rethink of the Saturday edition of”Music Fair,” said Baye McNeil, an African-American author and blogger in Japan who spearheaded the campaign over the past two weeks. “(The decision) was very gratifying,” said McNeil, who is also a contributor to The Japan Times. “But at the same time, I would still like to know exactly why they didn’t (air the segment). I imagine the petition had at least been some kind of factor, but I don’t know how much of a factor it played” in Fuji canceling the segment. 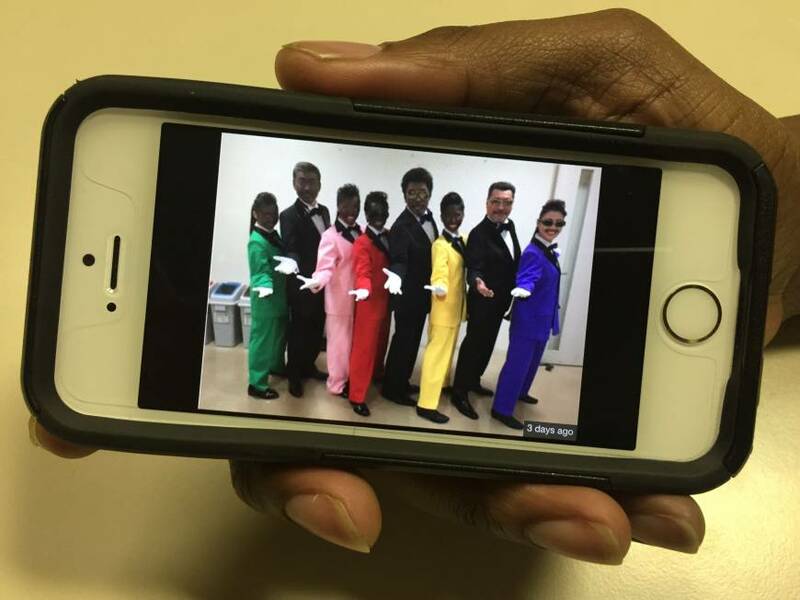 A heated debate over racism broke out across the Twittersphere last month when a picture went viral that showed members of the doo-wop-inspired group Rats & Star and idol group Momoiro Clover Z wearing blackface backstage during the filming of the show. But the version of “Music Fair” broadcast Saturday contained no footage of anyone wearing blackface. Furthermore, a note appeared at the top of the screen explaining that the show had been “partially edited,” although it didn’t elaborate on what exactly was changed. McNeil also said the TV broadcaster never responded to his campaign. Fuji TV on Monday acknowledged in a statement it had planned to air the performance but canceled it based on a “comprehensive judgment.” The broadcaster didn’t say if McNeil’s petition influenced its decision. When the controversy first erupted on social media, the blackface picture was largely decried as evidence of Japan’s insensitivity to racism. Defenders of the image, meanwhile, said the racism likely wasn’t intentional and that it was probably a gesture by the singers to show admiration for black culture. “I really do believe that their intention is to pay homage to black people and black music. But I think blackface is a horribly inappropriate way to do it,” McNeil said. “Once you’re made aware of (what blackface means), you should adjust accordingly, especially if you’re going to be a part of the global community. I mean, with the 2020 Olympics coming up, the whole world is coming to Japan,” he said. In his online campaign, McNeil described blackface minstrels as an “affront” to many African-Americans whose “parents and grandparents had to suffer the denigration and indignities of (the) Jim Crow (racial segregation law) and ‘blackface’d entertainment,’ ” slamming the practice as a “painful and shameful chapter” of history.